Designed for extended work time the MAPEI® Ultrabond ECO® 373 Pressure-Sensitive Multi-Flooring Adhesive is super-aggressive and can be applied using either a trowel or roller depending on the resilient flooring type. Ultrabond ECO® 373 dries quickly with super-aggressive tack properties. For use with luxury vinyl tile, luxury vinyl plank, vinyl enhanced tile, quartz tile, fiberglass-reinforced vinyl sheet flooring, solid vinyl sheet flooring, reground rubber underlayment, cork underlayment, vinyl and polyolefin-backed carpet tiles. Great for interior commercial, institutional and residential applications. Designed for extended work time the MAPEI® Ultrabond ECO® 373 Pressure-Sensitive Multi-Flooring Adhesive is super-aggressive and can be applied using either a trowel or roller depending on the resilient flooring type. Variety of notches & configurations. 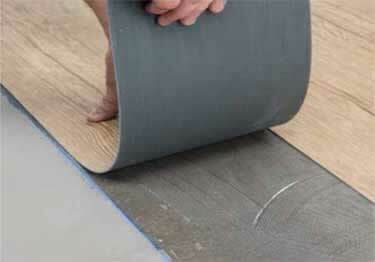 Designed for spreading adhesive or mastic on subflooring before laying down floor coverings. Get professional grade results with this caulk. Great for indoor, outdoor, wet & dry applications. Over 40 MAPEI Colors.